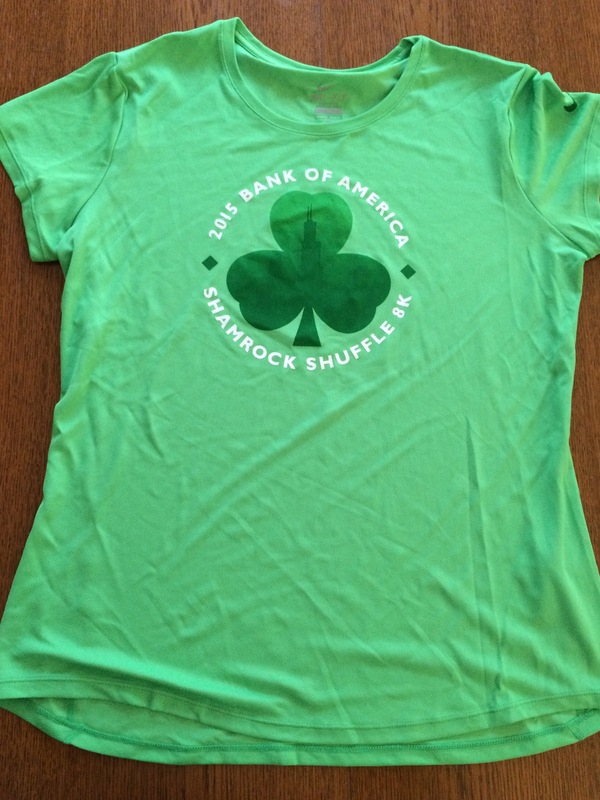 Last Friday (Good Friday) I volunteered to put packets together for the Bank of America Shamrock Shuffle. 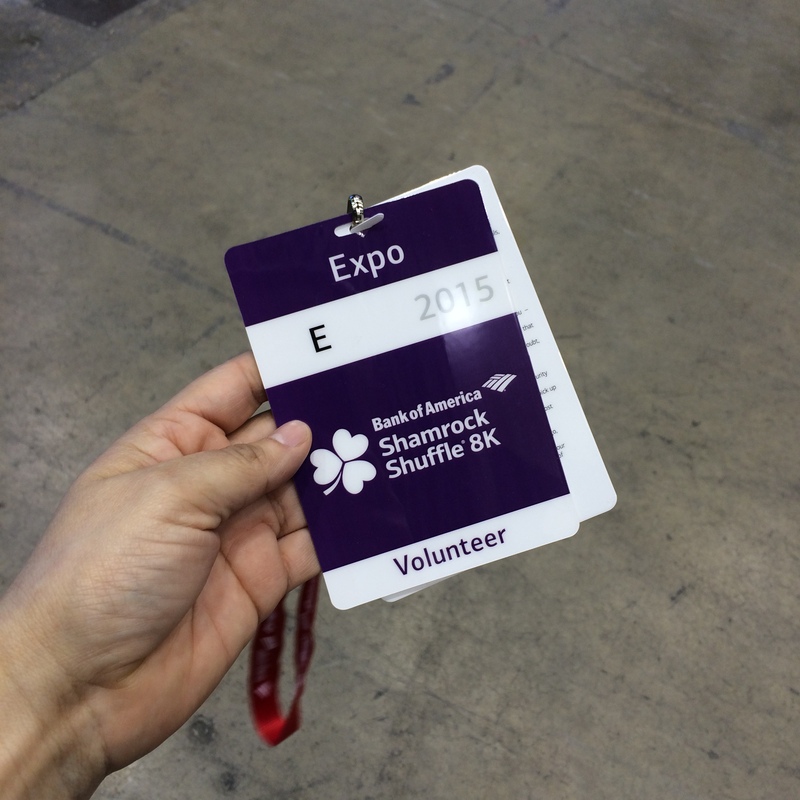 Originally I had planned to volunteer at the expo (like last year) but due to various factors, I changed my schedule and went Friday instead. I was there from 1pm-5pm. The job was easy. We were given packets of envelopes, bibs, and safety pins. I had to put a bib in the correct envelope (they were already labeled with runner’s name and other relevant information) along with 4 pins. Time flew by and before I knew it, I was told to stop working and to eat dinner. 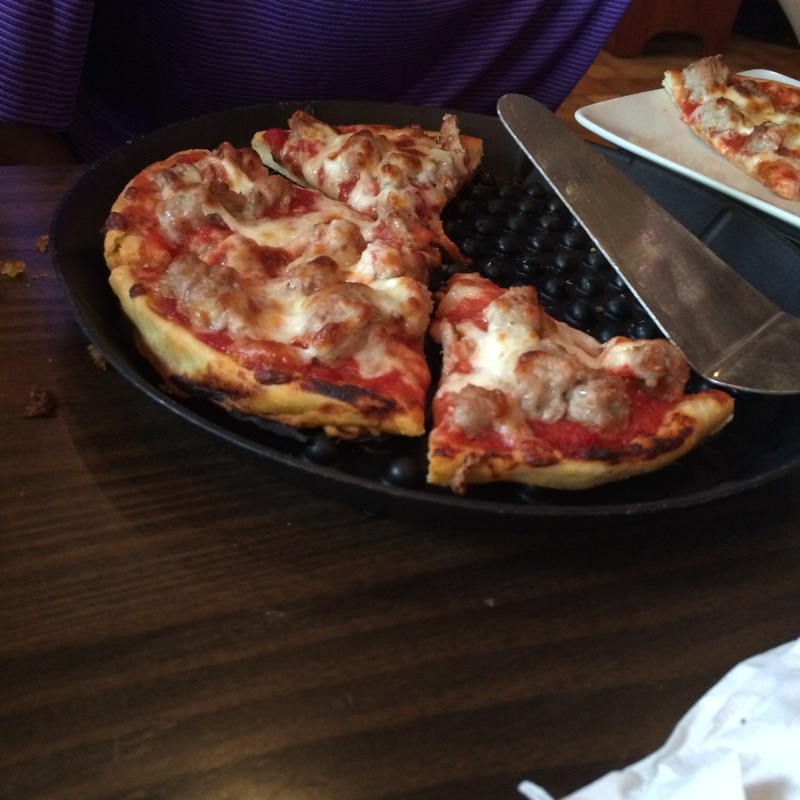 There was pizza and salad for all of the volunteers. I miss these finisher shirts. 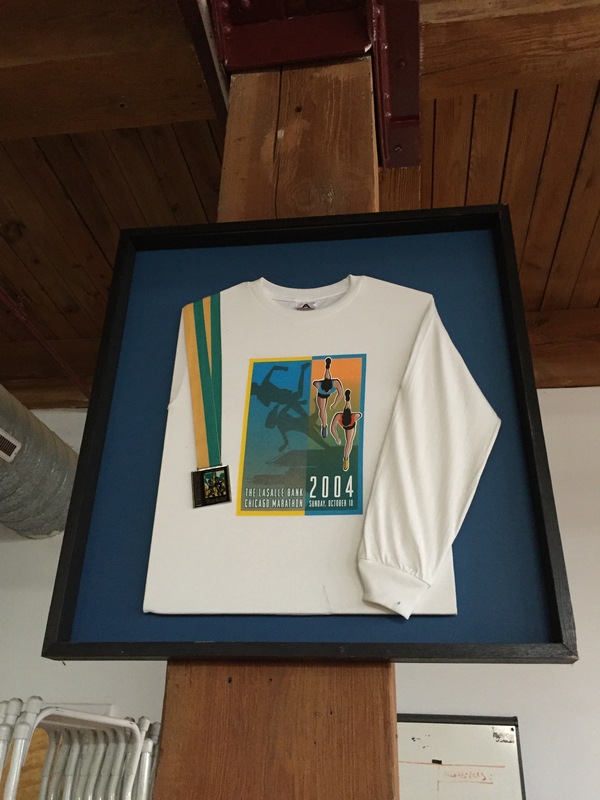 I received a similar one for my first marathon back in 2006 and I regret giving it away. 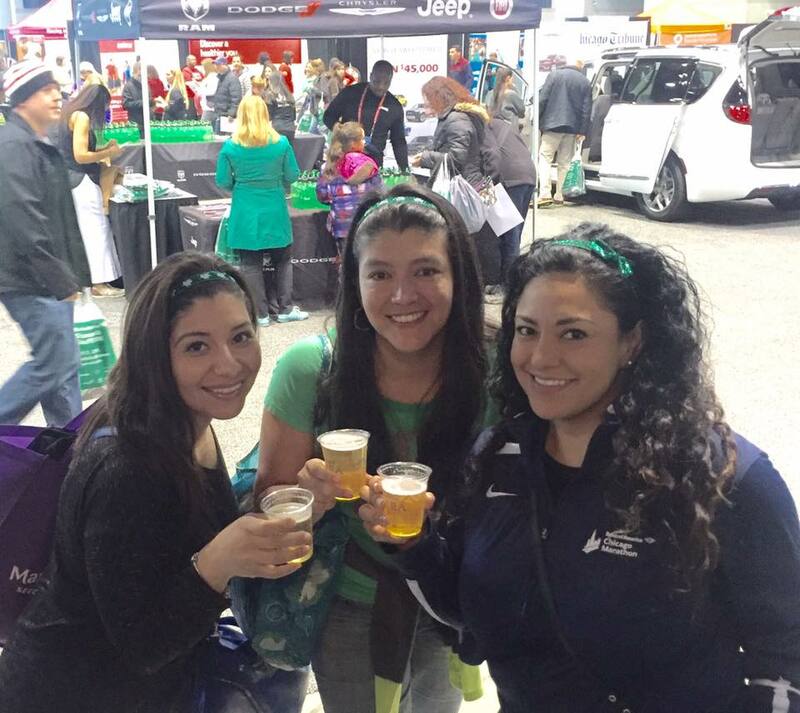 Yesterday I met some friends at the expo. I got there a little after it opened so there weren’t too many people which was nice. We took a silly picture. 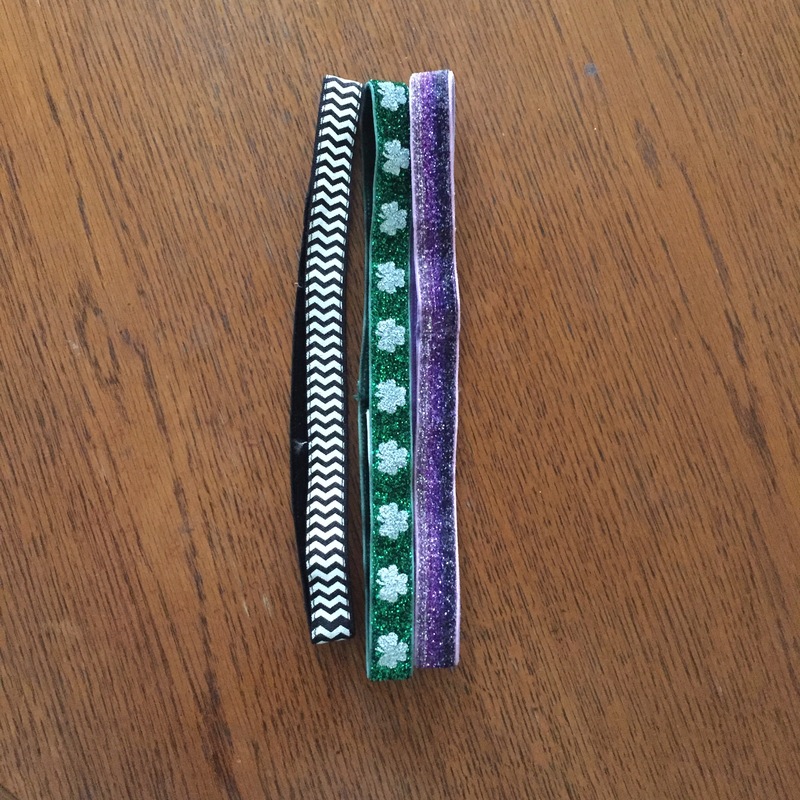 I bought 3 Sparkly Soul headbands and a Zeet jacket (which came in handy during today’s run). I like the shirt. I thought about giving it to my coworker (she is beginning to run again) but then remembered that I need to keep my shirts for a quilt. My goal for tomorrow is to take it easy and have fun. 1. Friday again? The days definitely go by much faster when you are on vacation. 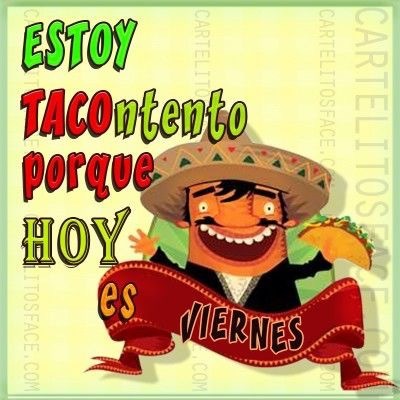 I know that during the school year I am always aware of each day and get so excited on Fridays. On vacation I sometimes lose track and have no idea when a day is Monday, Tuesday, etc. 2. 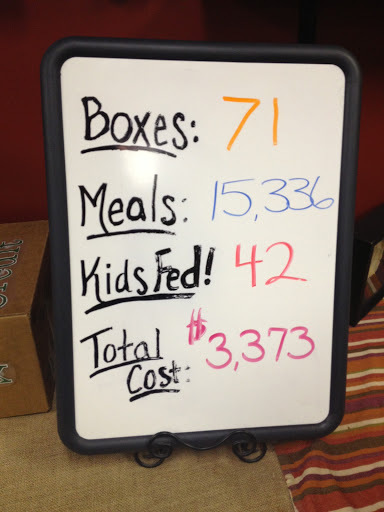 On Monday, my sister and nephews went to volunteer at Feed My Starving Children. It is a great place to volunteer and you end up leaving really good about yourself. The last time I was there was almost two years ago. Yikes! I need to make it a priority to go there more often. We were there from 2:30-4:30 pm. My nephews LOVE Home Run Inn and we stopped there for dinner. We got home in time to watch “The Bachelorette” and before the bad weather began rolling into the Chicago area. Luckily, it was just wind and lots of rain but I know other places had it even worse. 3. I bought a new running gear, the Garmin Forerunner 220. So far I’ve run with it twice and like it. The only problem I have is that I cannot get it to sync with my heart monitor. I have to run 8 miles on Saturday with the CES group so hopefully one of the coaches there can help me. 4. I know we all have good and bad runs. I love it when I have a good run but I love it even more when it is on a day that I had no desire to run. I did not run yesterday morning because I was planning to run in the evening with the ladies from Fleet Feet. Well, I did a few errands with my mom and got home after 6pm. I was tired and decided to rest and then go running. Everything hurt so I took an ibuprofen. Then I decided not to go. I guess I must have been feeling guilty and I reminded myself that I would not skip any of my marathon training runs planned by my coach (I’ve missed one) so I got dressed and went out for my run. You know what? It was AWESOME and I felt great. I ran better than I expected and that made me happy. 5. I received my grade for my Spring class. I am disappointed that I got a “B”. I know it is still a great grade but the class was so easy and pretty much an easy “A”. For nine weeks I listened to the lectures and took notes. I also did all of my homework and pretty much got all of the problems correct. The deal breaker was the final presentation on the last day of class. It was worth 50 percent of my grade. I know I did not rock it but I didn’t think I did that bad. I get really nervous speaking in front of a group (definitely not a problem with little kids) so I am just mad at myself because I messed up on the presentation. My next (and final class) starts in August. What has been your best volunteer experience? Do you get nervous speaking in front of a group? 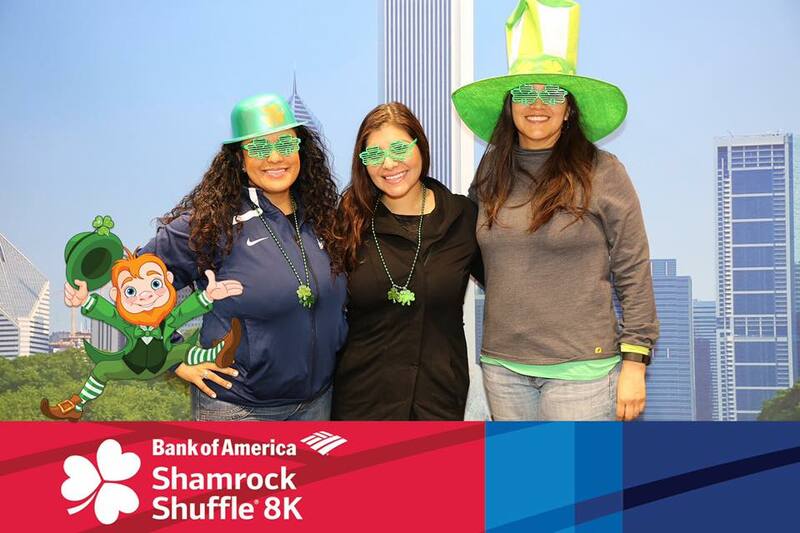 Today was day 2 of the Bank of America Shamrock Shuffle Expo. I had to be there at 8:30am because I signed up to be a volunteer. I was supposed to distribute the t-shirts. 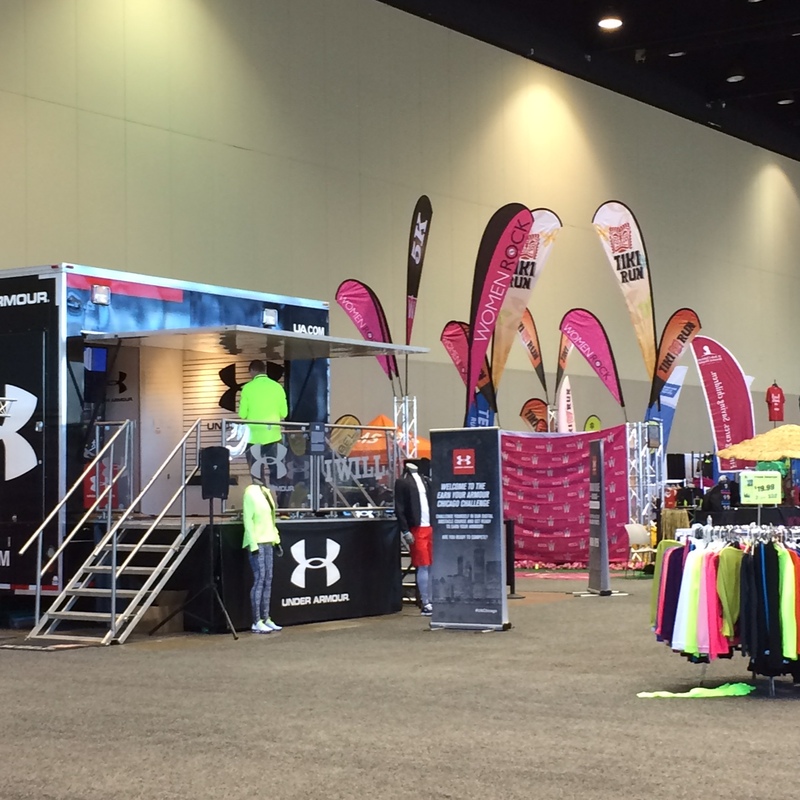 I did my 5 minutes of training but then was moved to the t-shirt exchange area. No big deal. It was pretty cool to see the area without the crowd. The first hour or so was slow. There was a crowd at the expo but not too many people were exchanging their shirts. It got busy by 11am and even more busy by noon. I actually like the shirt. Hopefully this year’s Chicago Marathon shirt is just as nice and not an ugly black one like last year’s. I saw the cute Emily and of course we had to take a picture. I also met the lovely Charlyn. We talked and joked around about the weather. It is supposed to rain tomorrow and Emily and I have had enough with rainy races. We both ran the Chinatown 5k and Disney Wine and Dine Half Marathon last year and it was just crazy with all of the rain. Plus, she ran the RnR DC Half Marathon two weeks ago and it rained there too. 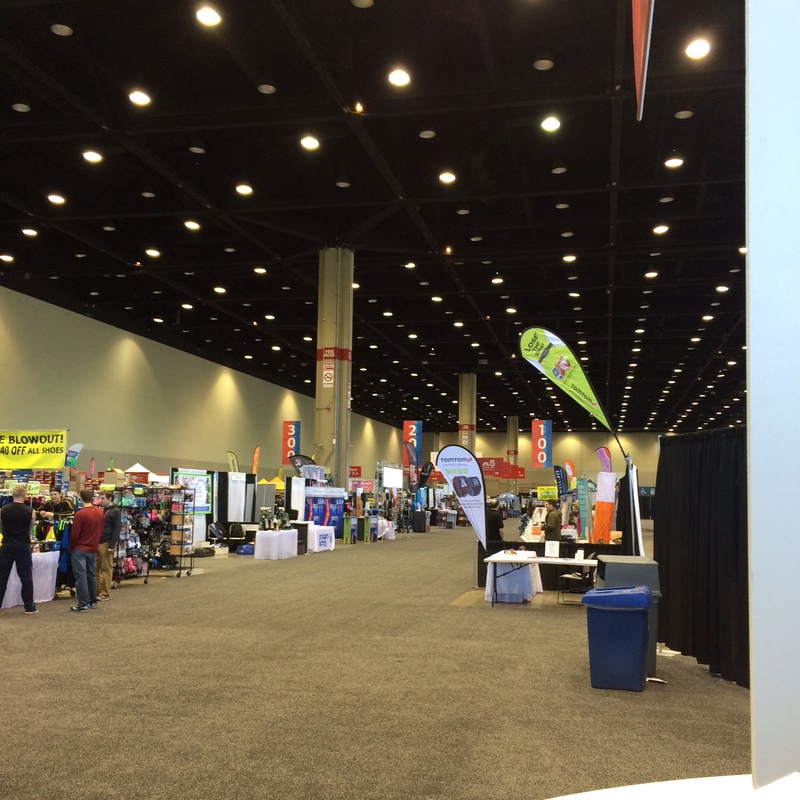 My shift was over a little at 12 so I set out to pick up my own bib and shirt and check out the expo. It was not a big expo but just enough to go home with some good stuff. 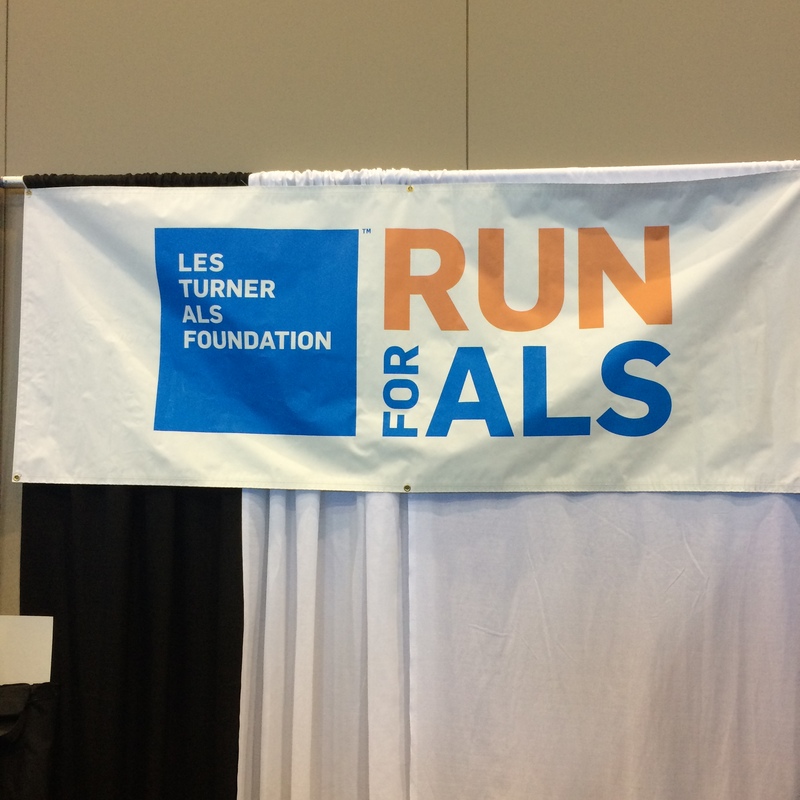 I checked out the booth for the Run for ALS 5k taking place in July. I’ve run this race twice and plan to run it this year. 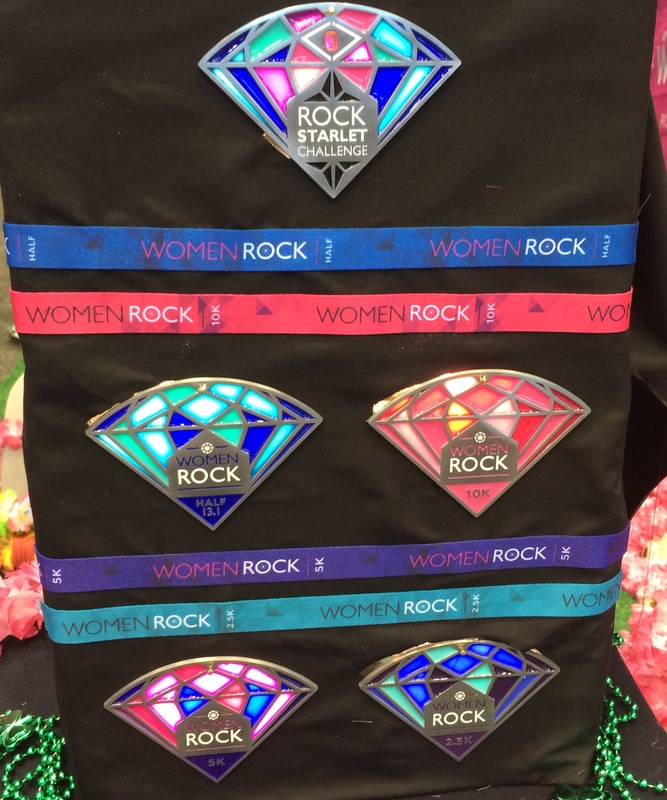 I saw the medals for the Women Rock Chicago in September. Cute right? 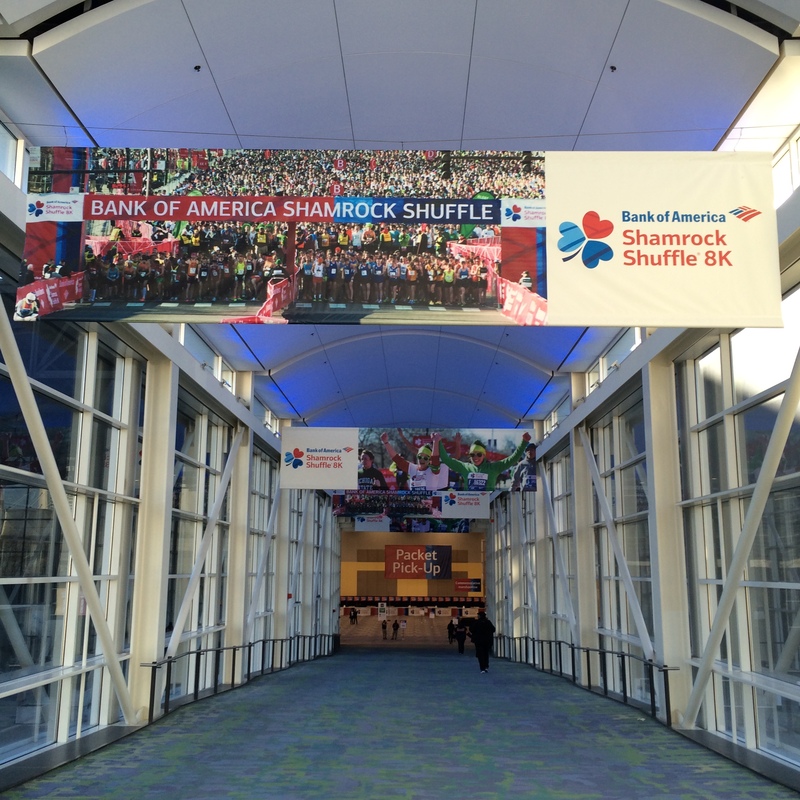 They will have the Rock Starlet Challenge which is a 2.5K, 5K, and/or 10K/13.1 miles. Would love to do it! 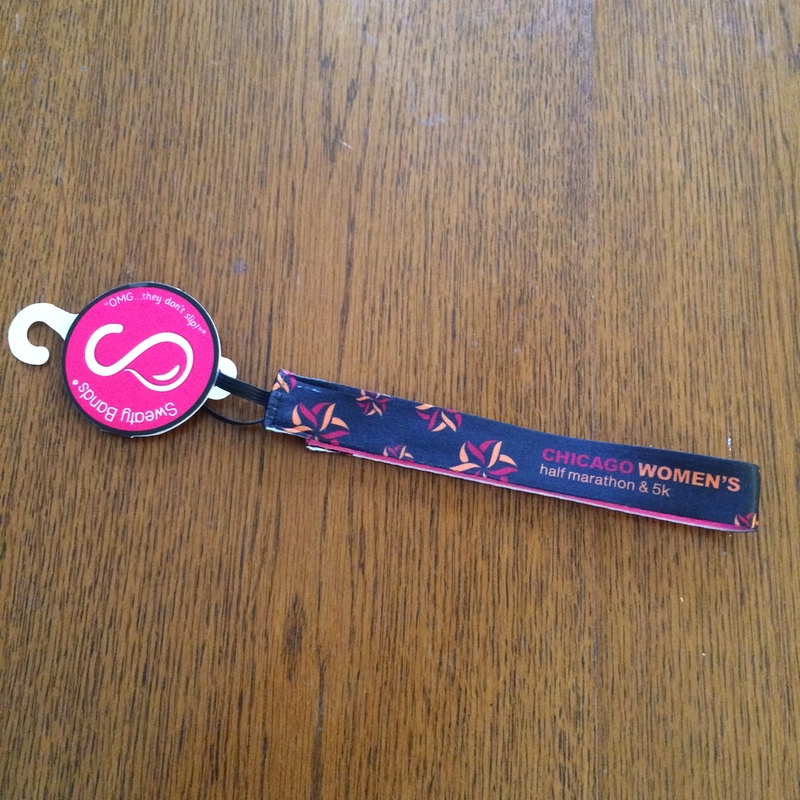 I picked up a cute Sweaty Bands headband promoting The Magnificent Mile Chicago Women’s Half Marathon and 5k. I ran this race in 2012 and it was HOT, HOT, HOT!! I missed it in 2013 because I was in Seattle for a half marathon on Saturday and got in late Saturday night (the race was Sunday morning). Last year I was in CA for the Dumbo Double Dare. This year I am planning to be in Chicago. Plus, I want to meet Lauren Fleshman! 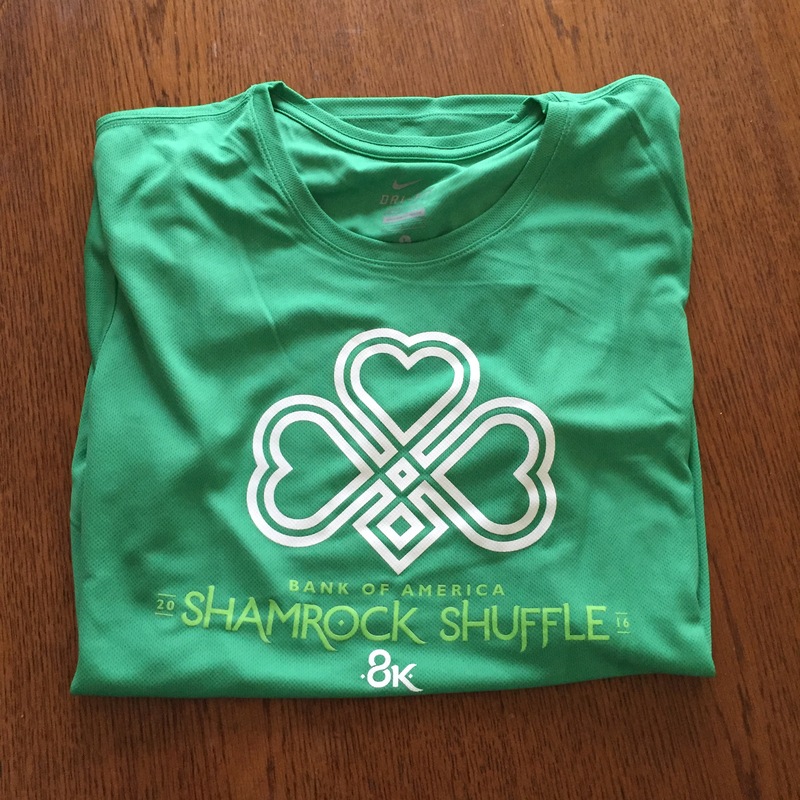 The Shamrock Shuffle is my first race this year. I am excited and nervous about it. Don’t know why but I always get nervous before a race. Now off to pick out my outfit for tomorrow. It is very organized. 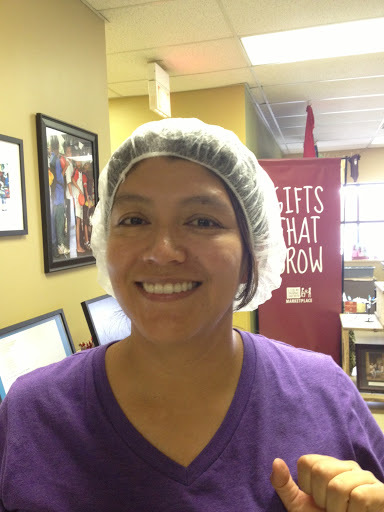 We start with a video explaining the mission, ask/answer questions, wash hands, and put on hairnets. 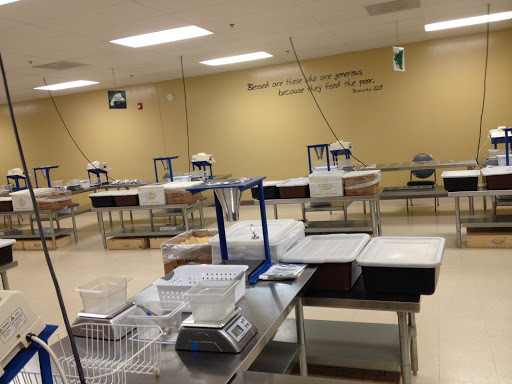 Then we move to the packing room where we are told what to do. Very simple. 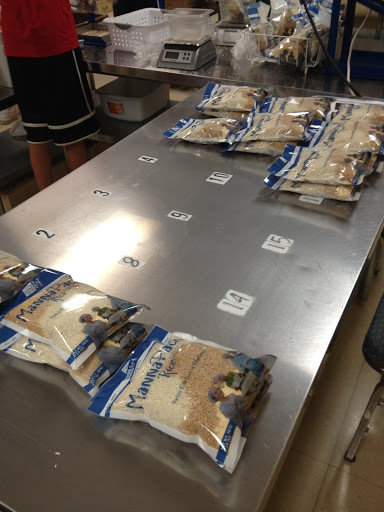 Each bag of food has rice, soy nuggets, dehydrated vegetables, vitamins/minerals and must weigh between 380-400 grams. 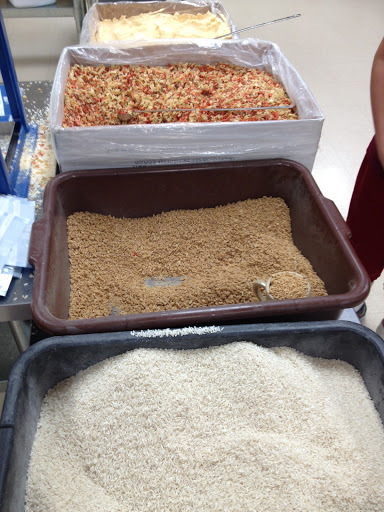 If it is under we add more rice and if it is over then we remove some rice. When we complete 36 bags, we pack them into a box. In order for a station to function efficiently there needs to be 6-7 volunteers. Depending on the number of volunteers there may be enough to work at all of the stations. 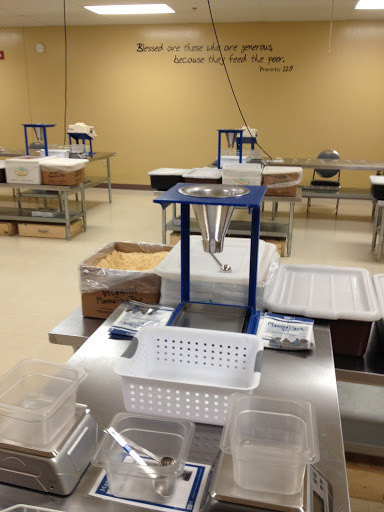 In addition, there are some volunteers that pick up the completed boxes and take them to the packing room. There the boxes are packed in pallets ready for shipment to the various countries. Each shift is 2 hours but with the orientation and cleanup the actual volunteer time is about 1 1/2 hours. However, the time goes by fast because everyone is working fast, singing, and just having a good time. 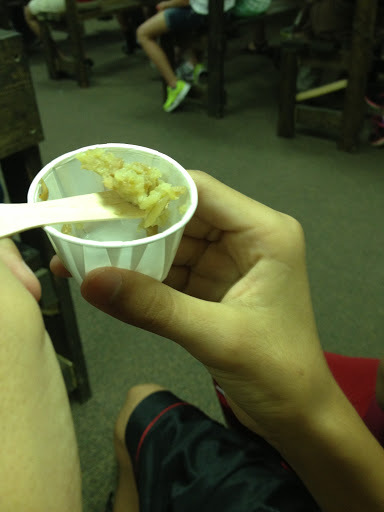 At the end of the shift we get the opportunity to taste a sample of the food. It is actually pretty good. 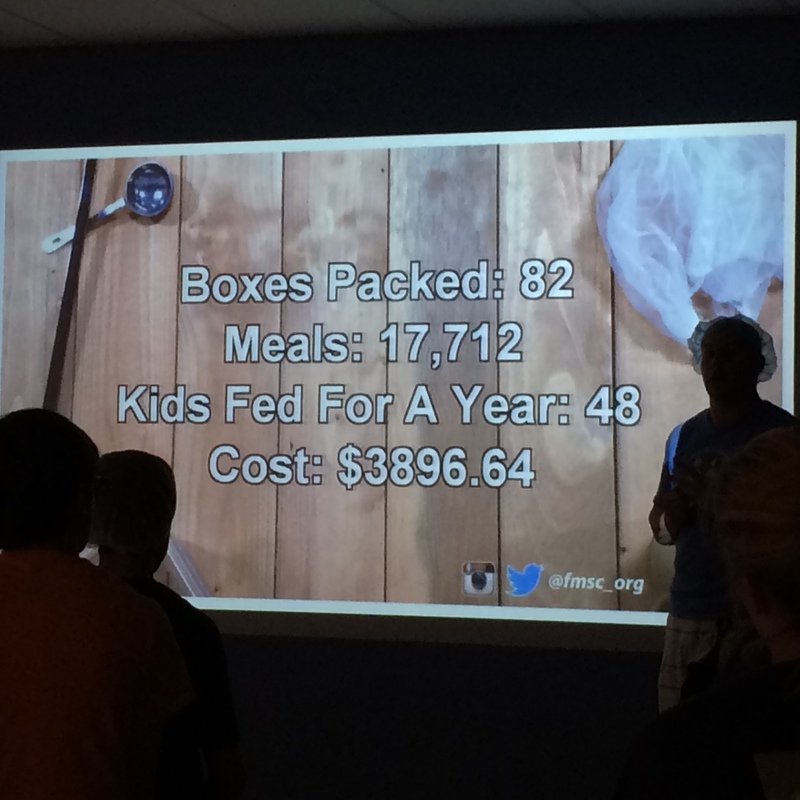 Also, we are told how many boxes we packed during our shift. It is a great experience! This is my second time going but I hope to volunteer more often instead of going once a year. My 10 year old nephew has agreed to coming along with me as well. 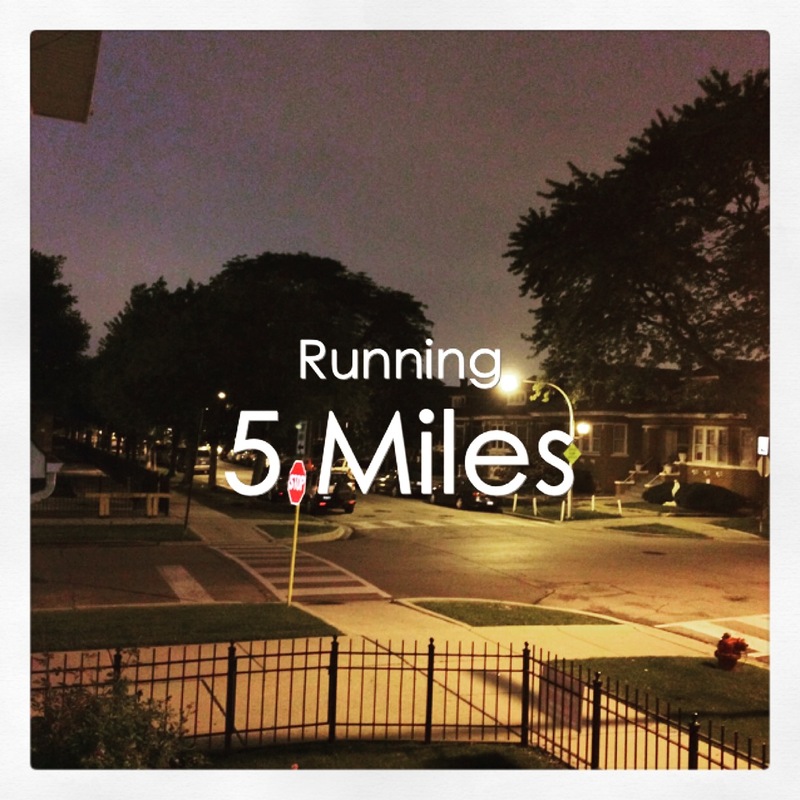 This month I ran 96.66 compared to 80.43 in June. I ran two races: 4 on the 4th and Strike Out ALS 5K. 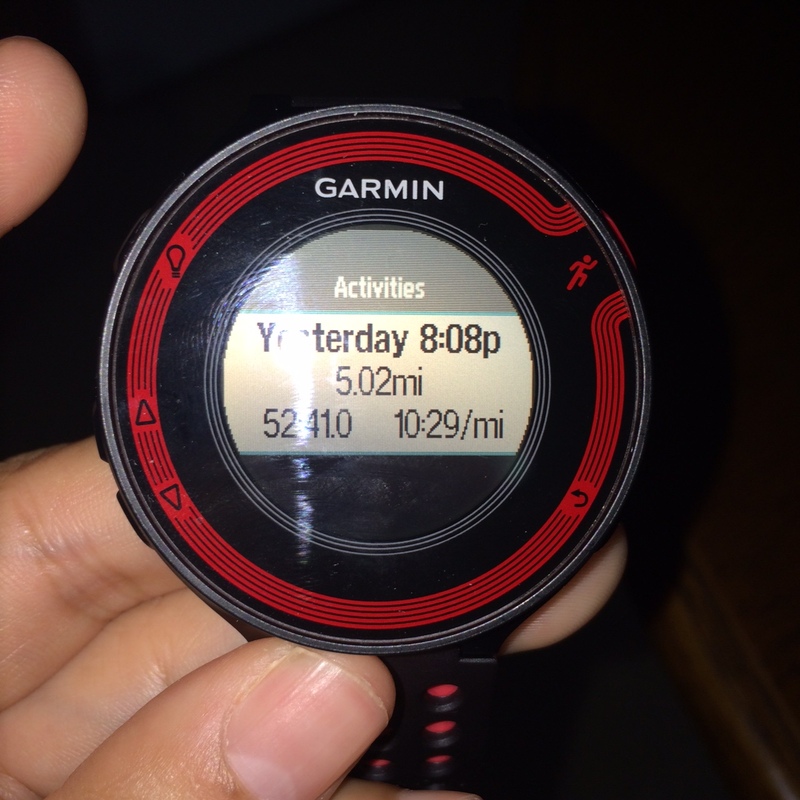 My favorite was the 4 on the 4th not only because I set a PR but the weather was just perfect for running. As for the 5K, the race was in the evening and it was BRUTAL HOT. 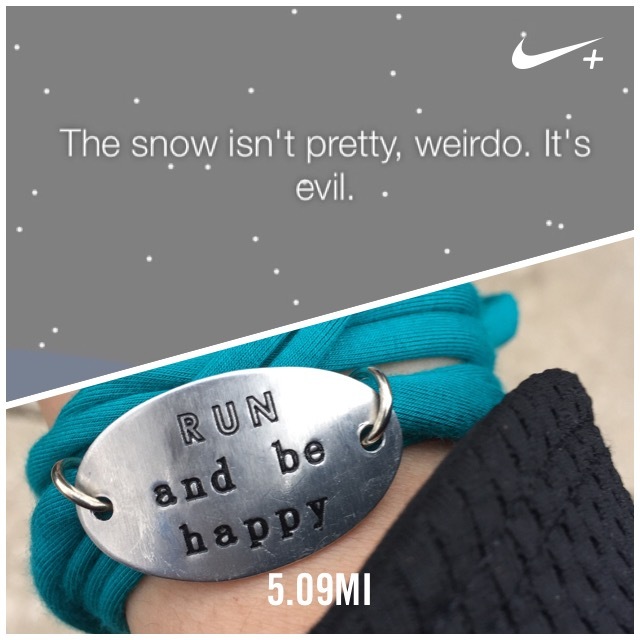 I am waiting for the weather to cool down to run another 5K and set another PR. This month I have one race: Fort2Base. I am looking forward to this race. It is a new race and a new distance (11.5 miles) for me. Summer break is coming to an end. I’ve had a good time relaxing and spending time with my nephews. They wear me out! 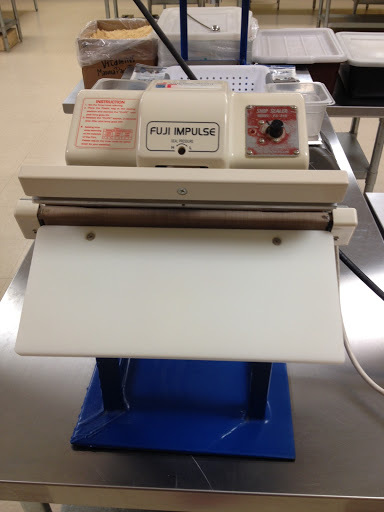 I am excited about new things happening once I am back at school. But I know that once I start, I will be counting down for winter break, spring break, and the last day of school. 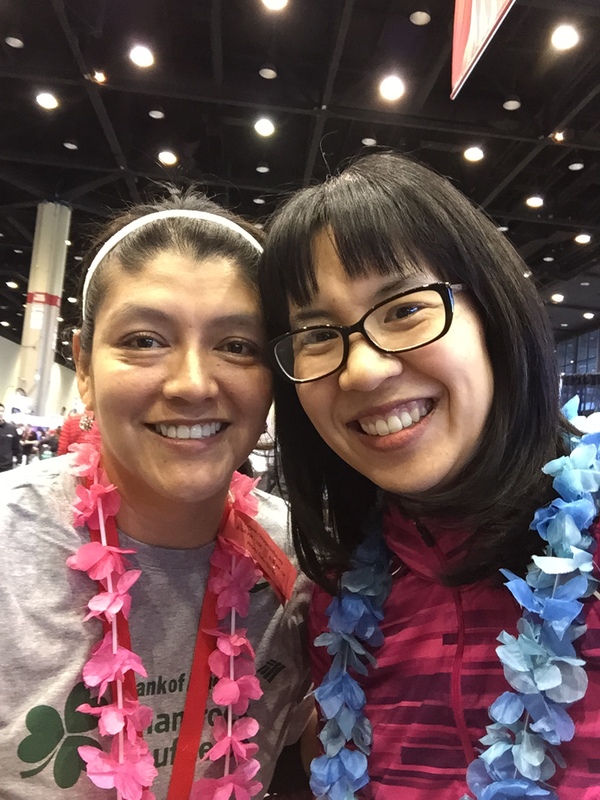 I applied to be a coach for Girls on the Run-Chicago. I have CPR training on the 15th and then a training workshop on the 24th. I’ve never done anything like this but I will be combining two things that I love: running and working with kids. A few years ago I was a Wish Granter for the Make-A-Wish Illinois and I decided to do it again. I am really excited about these opportunities! 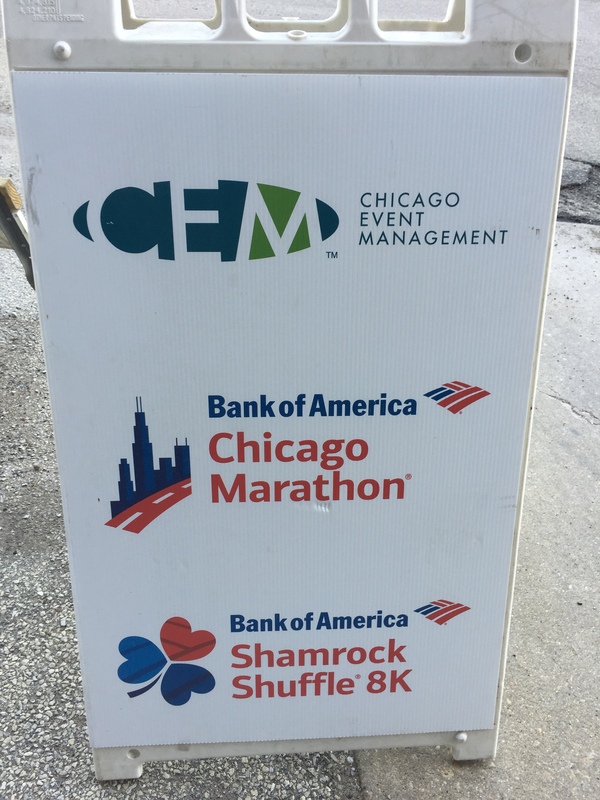 For sure I will have a busy schedule with these two organizations, work, and training for my multiple races. But that is just OK with me.